A great choice for groups of friends wanting to experience the Birmingham nightlife or for families wanting to keep the children busy! Birmingham is within easy reach from two of our bases; just a short lock-free cruise will bring you to the Gas Street Basin directly in the city centre. From here the bars, clubs and restaurants are all within walking distance. Family-friendly attractions such as the National Sea Life Centre and Cadbury World are accessible from the city centre. Birmingham is a great place for a weekend shopping spree; the famous Bullring Shopping Centre is only a 15 minute stroll from the moorings at Gas Street Basin! To experience Birmingham by narrowboat search for holidays departing from our bases at Alvechurch or Tardebigge. Bath is another fantastic option for a weekend away. We have several bases situated along the Kennet & Avon only a short cruise from the UNESCO World Heritage City of Bath. Moorings are available either in the city through the locks or a short 10 minute walk away before the locks at Sydney Gardens. Once in the city there are numerous places of historical interest to visit, including the Roman Baths, Bath Abbey and Sally Lunn’s Historic Eating House and Museum. Not to mention the impressive array of restaurants, cafes, bars and pubs, perfect for an evening out. There are six retail areas in Bath featuring a huge selection of independent and individual shops as well as the usual high street retailers. To visit Bath over a weekend search for holidays starting from Bradford-on-Avon, Monkton Combe, Hilperton or Sydney Wharf. Shopping and sports, culture and clubbing, Manchester has it all. Unofficially known as the ‘Capital of the North’, Manchester has something to offer everyone who comes to visit. Cruise your way up the Bridgewater Canal, passing by Old Trafford and moor up at the Castlefield Basin for a short walk into the centre of the city. Spend the day sightseeing, visiting the museums, galleries and shops. For the evening, take advantage of Manchester’s thriving food culture and choose from one of the restaurants, gastro-pubs, street food stalls or cafes before ending the night at one of the quirky cocktails bars or clubs. Manchester can be reached by narrowboat over a weekend from our base at Preston Brook. Home to the world-famous prestigious University, Oxford- ‘The City of Dreaming Spires’ makes for a wonderful weekend city break. Oxford can be accessed from the Thames and also from the South Oxford Canal and has useful moorings in the city centre. 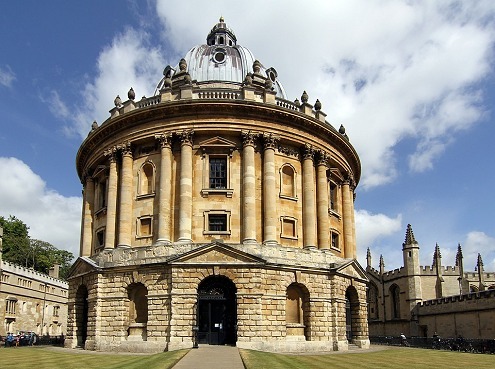 Oxford has so much to offer in terms of architecture, history and culture. Take a tour around the famous colleges, visit the covered market or try your hand at punting along the Thames. For the TV and Film buffs try and spot all of the filming locations used in the likes of Harry Potter, Alice in Wonderland and Inspector Morse. Oxford is home to several Michelin Star restaurants, ideal for a celebratory meal or special occasion. Being a university city there are many nightclubs, cocktail bars and pubs to choose from to end your evening. Oxford is accessilble from our bases at Eynsham or Lower Heyford. A great choice for a weekend away for families or couples with picturesque gentle cruising through the Cheshire Plains. The ancient city of Chester, known for its Roman Walls and architecture is the home of the largest Roman Amphitheatre in England. More modern attractions include the UK’s most visited Zoo, with over 15,000 animals and over 500 different species. 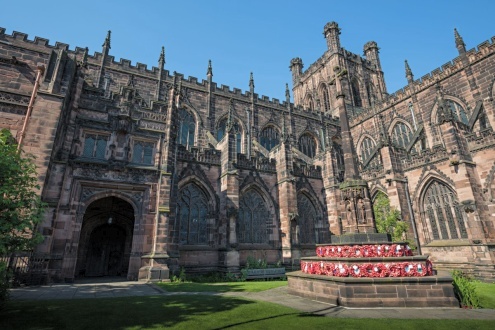 Chester Cathedral, located in the city centre, is over 1000 years old. Take a tour of this impressive national treasure and climb the tower for fantastic views over the city at 125ft. Enjoy walking through the historic streets with the beautiful timber framed Tudor-style buildings many of which are protected by English Heritage. For a weekend city break exploring Chester, search for holidays departing from our base at Bunbury. This entry was posted on January 22, 2018 at 10:58 am. You can follow any responses to this entry through the RSS 2.0 feed. Both comments and pings are currently closed.